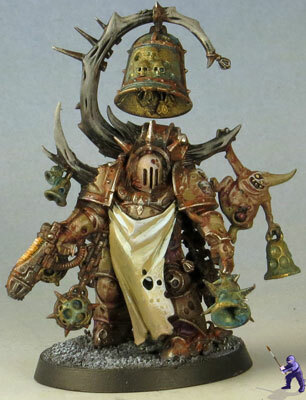 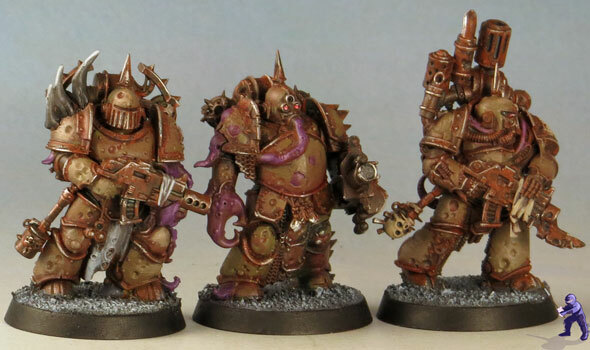 I’ve often loved the Death Guard- they’re one of the forces that I first played in 40k- back when there weren’t enough Death Guard minis, so I had to convert horrific mutation on normal marine minis. 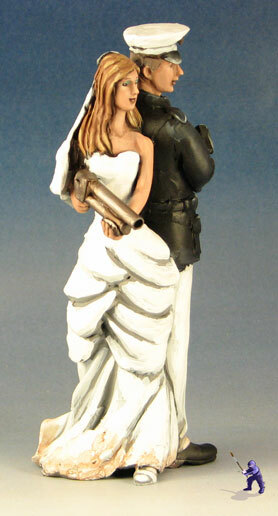 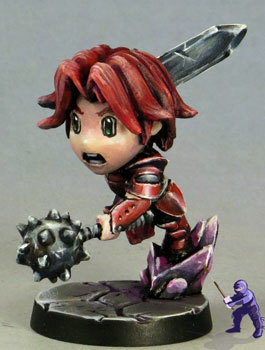 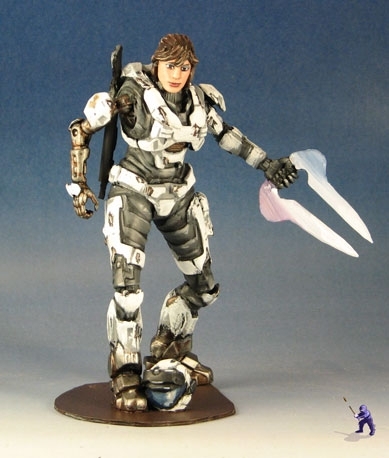 The current lineup of minis for them are really impressive- the best they’ve ever had. 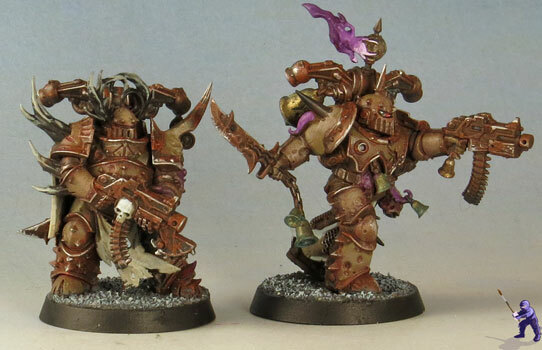 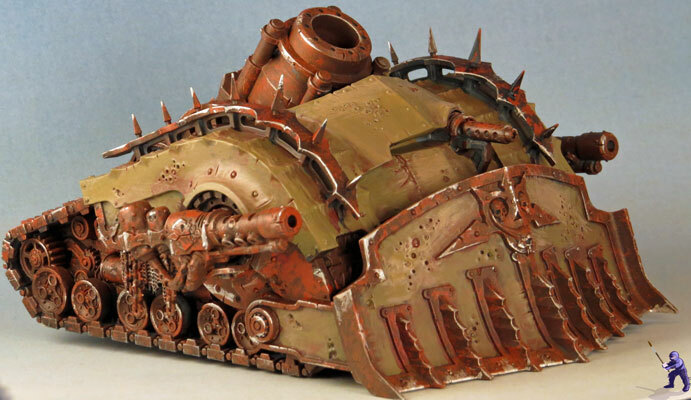 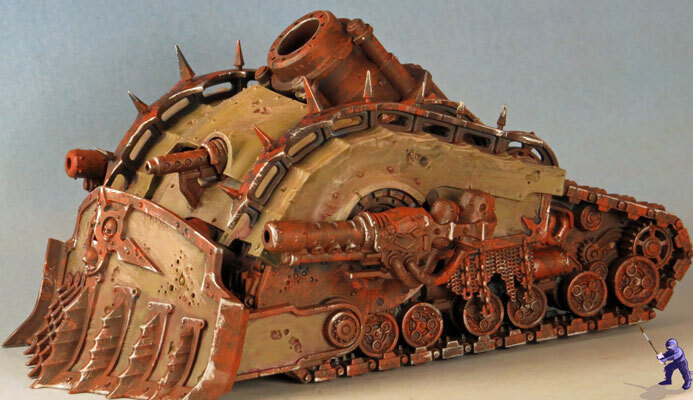 For the color schemes on them, I decided to go with a lot of rusty metals and armor that is a mix of brownish green and flesh tones. 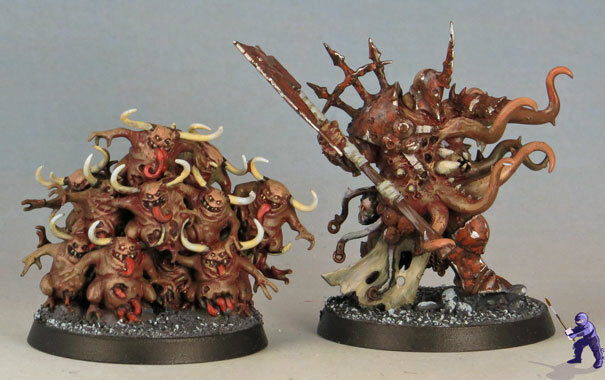 I think they came out looking properly blighted. 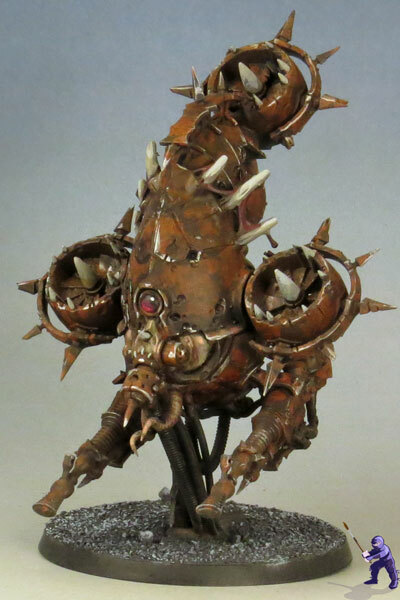 I also love how the Blight Drones look like Slave One. 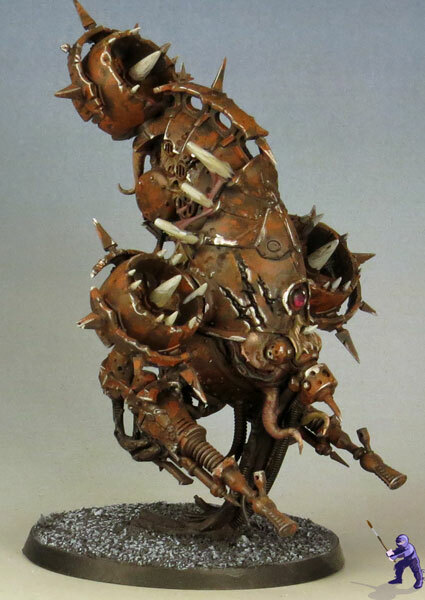 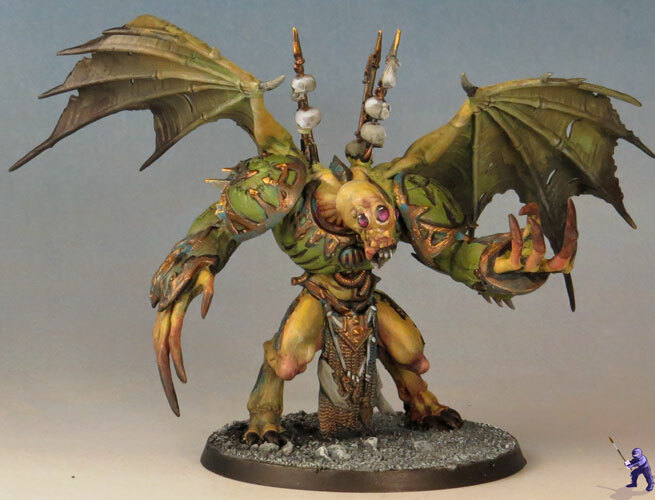 The demon prince is from a separate Nurgle project. 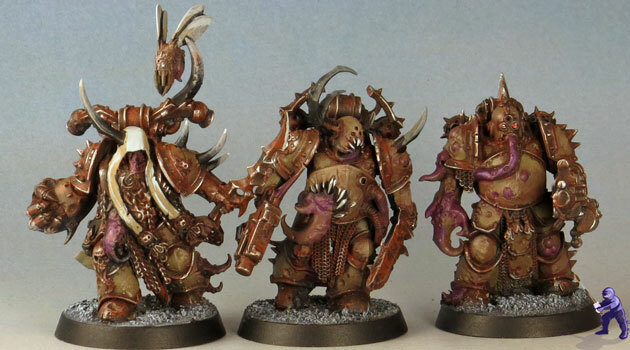 While a lot of the same concepts apply, the colors are definitely different from the more browns of the rest of these minis.